Gorski Kotar in Croatia is magical. I’ve been to Croatia many times but next time I’ll head straight to Gorski Kotar and not bother with the over-populated coast. Sometimes it’s called Croatian Switzerland and there is a good reason for it, though it’s far from the tidy looking Swiss villages with the tremendous scenery of the Alps in the background. 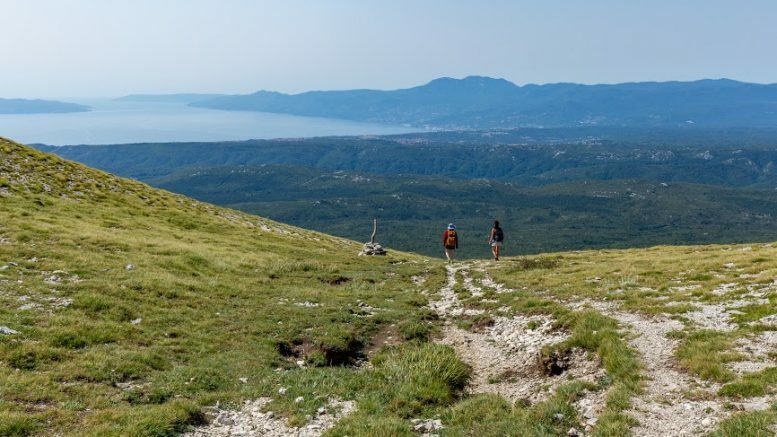 When I was in Croatia about 7 years ago, I desperately wanted to hike up to Vojak (1401m), the highest peak of Istria peninsula. I was convinced that one day I’d come back and stand at the top. Now, 7 years later, we were standing at the car park at the crossroad of 5047 road and a road called Cesta za Vojak, deciding whether to go up.